Despite what the three little pigs might say, even the hardiest of brick buildings will require repair and restoration at some point. Fall’s a good time to inspect brick foundations, walls, and chimneys: if there’s mortar missing or wearing away in spots, a little tuck-pointing is in order. Be sure to use mortar that’s not too strong for the brick. Spalling is common, especially with older brick. 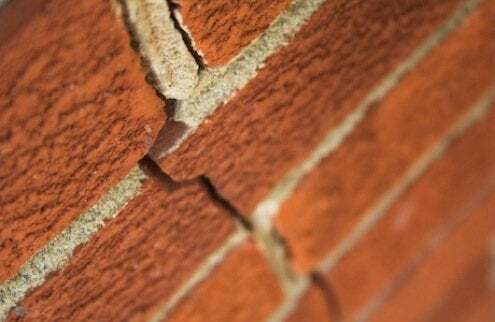 When the face of the brick just chips right off, it’s often because the mortar is too hard to expand and contract with heat and cold at the same rate as the softer brick. Spalled brick need to be removed or replaced, and you should match the color of the new bricks and mortar to the old so you can’t see the repairs. If you don’t have extra historic brick lying around, check your local salvage yard or deconstruction contractor. Historic district commisions have come up with lots of new tricks for dyeing and distressing new brick and mortar, and they’re usually more than happy to supply homeowners with the right recipe for a good match.